In 2015, Virginia’s poverty rate dropped slightly to 11.2%, which is the 11th lowest in the nation.1 During this time, the median household income in Virginia reached $66,262—that’s $10,487 higher than the nationwide average.2 Despite such a high median household income and an unemployment rate of 4.8%, Virginia residents are still searching for alternative means for making ends meet.3 As a result, many people might turn to predatory bad credit loans such as payday loans or title loans in Virginia—an option that should be avoided. Virginia legislation worked to protect consumers from the misleading ways of payday loans by enforcing a cap on interest and the length of the loans. However, payday lenders in Virginia soon found a way around these regulations by offering open-end credit loans or title loans. These loopholes allow lenders to charge triple-digit interest rates once again. Title loans are designed to trap a borrower in a cycle of debt just like payday loans. 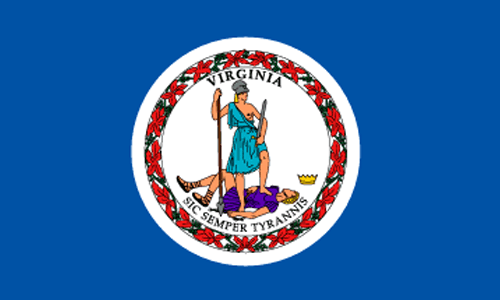 The maximum amount for title loans in Virginia is limited to the value of the car, which means borrowers can be sucked into a cycle of debt that could end with the repossession of the car. At the end of four months, a title loan of $700 will total $1,316.15 Even worse, if you don’t have the money at that time, you can kiss your vehicle goodbye. You might sometimes come up short on your monthly finances, but that doesn’t mean you should just “deal” with it. There are alternative options available to help you get through that “rough patch”. However, it is important to do your research before committing to anything. Look for other alternatives for helping with money. If you do choose to go the payday loan or title loan route, only accept from a lender that acts in accordance with the laws of Virginia. If you want to find out if a payday or title lender in Virginia is properly licensed and bonded, you can contact the Bureau of Financial Institutions—a division of the State Corporation Commission. You can visit their website, or call their toll-free number at 1-800-552-7945. By visiting the website for the Bureau of Financial Institutions, you will find a list of names and addresses of lenders who are currently licensed. You can also find a variety of information about your rights as a borrower, and how to file a complaint about a Virginia payday or title lender. The Virginia Bureau of Financial Institutions is available to handle your complaints, but there are outside resources to provide you with further guidance. One group is the Virginia Legal Society. Virginia Poverty Law Center (VPLC) is also available to provide you with further guidance on what to do if you have a title loan or payday loan in Virginia. VLAS is a nonprofit law firm established in 1977 to provide free civil legal services to eligible low-income residents in Virginia. If you need help, VLAS might be able to work with you. Virginia Poverty Law Center (VPLC) is also available to provide you with further guidance on what to do if you have a title loan or payday loan in Virginia. Established in 1978, VPLC is committed to leading and coordinating efforts to seek justice in civil legal matters for lower-income Virginians. This means, if you’ve taken out a title loan or payday loan in Virginia, you have a dedicated team of individuals available to help. To help Virginia continue their battle against predatory lending and to better protect its residents from the vicious cycle of debt, reach out. By understanding warning signs, the laws, and where to report a lender or seek outside help against payday and title loans in Virginia, you can help get the ball rolling for better legislations. Change won’t happen overnight, but it’s a fight worth fighting in Virginia. This page is available to help you better understand loans and payday loans in Virginia—it’s got all the information you need, and then some. You know payday and title loans in Virginia are a problem. But what about at the city level? “Why Can’t Virginia Protect the Poor from Predatory Lenders?” Virginia Interfaith Center for Public Policy. Accessed February 15, 2017.